Attleboro, 2 @ Sharon, 4 – Final – Click here for a recap of this game. King Philip, 1 @ Canton, 2 – Final – Canton junior Griffin Roach scored a pair of goals to lead the Bulldogs to a big win over visiting King Philip. Roach scored the opening goal in the 17th minute after a shot from Avery Minkin was deflected. In the second half, Roach doubled the lead when his shot from just inside the area was deflected into the top corner. KP scored in the 73rd minute when sophomore Brian McCarthy’s cross was headed home at the far post by senior Jack Bush. Franklin, 1 @ Foxboro, 2 – Final – Foxboro’s Ryan Kelley had a hand in both of the Warriors goals, recording a goal and an assist in the win. Kelley scored the opener inside the first five minutes, smashing home a rebound on a shot from Cam Cass. Early in the second half, Kelley played Nic Beigel in, who finished his chance to make it 2-0. Franklin responded within five minutes to cut the deficit in half but Foxboro held on for two points. Mansfield, 2 @ Stoughton, 0 – Final – Mansfield netted a pair of second half goals and senior Nick Ferraz made six saves to record his second shutout of the season. Cullin Anastasia put the visitors on the board midway through the second half by converting a penalty kick. Sam Hyland doubled the Hornets’ lead five minutes later when he finished off a corner kick from Luke Savoie. Taunton, 0 @ Milford, 1 – Final – The Scarlet Hawks netted the only goal of the game midway through the first half to earn their first win of the season. Junior Tiago Filadelfo nodded home a free kick service from sophomore Jordan Borges for his first career goal. Like Capobianco recorded the clean sheet in net for the Hawks. Milford head coach Brian Edwards said Leo Coelho had a strong game for the Hawks in midfield. Oliver Ames, 1 @ North Attleboro, 1 – Final – North Attleboro got off to a great start, opening the scoring inside the first two minutes but Oliver Ames battled back to level the match before halftime, and that’s how it would finish. North Attleboro sophomore Dylan Corrigan scored his first career goal, finishing a pass from senior Josh Rodriguez. Head coach Geoff Burgess credited Joe Hilf with starting the counter attack that led to the goal. OA scored in the 33rd minute when senior Mason Galbato opened his 2017 account, finishing off a long throw with Nathaniel Cardoza assisting. OAHS head coach John Barata noted both Cam Vella and Chris Lawrence played great in the back for the Tigers. Sharon, 1 @ Attleboro, 3 – Final – The Bombardiers made it two wins in a row with what head coach Steve Santos called, “a great team win.” Freshmen Briley Harnois and Isabella Salviati scored for Attleboro to open a 2-0 lead at halftime. Sharon got one back from Ally Filipkowski before Hannah Meier sealed the points with Attleboro’s third. Santos said that Kara Thornton did a great job marking Filipkowski and praised the defensive effort of his captains Jordyn Forte, Morgan Laplume, and Julia Hayes. Foxboro, 0 @ Franklin, 1 – Final – In an even game, in which both teams had good scoring opportunities, the Panthers earned all two points thanks to a goal in the final minute by Calen Frongillo, assisted by Anna Balkus. A minute before the Franklin goal, the Warriors had a scoring chance of their own but were denied by a diving Cat Robbins save. Stoughton, 0 @ Mansfield, 6 – Final – Cassidy McMahon continued her strong start to the season with two goals and two assists to lead the Hornets to their third win of the season. Stephanie Kemp added a brace for Mansfield, which also got goals from Allison and Melissa Reef. 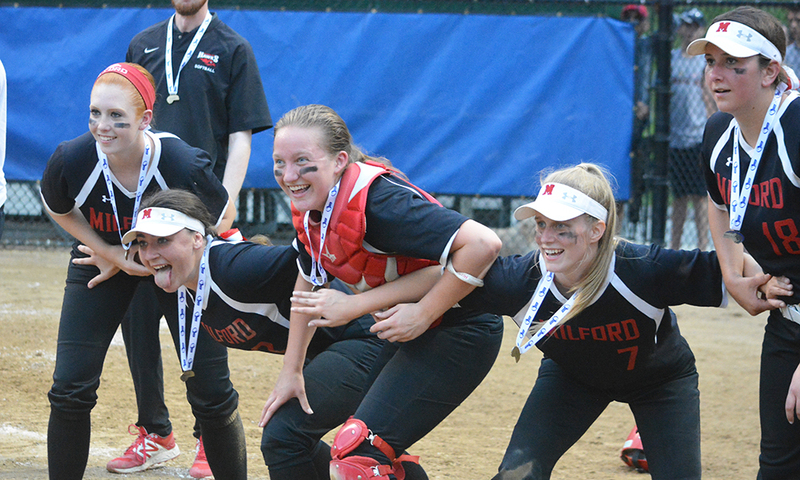 Milford, 2 @ Taunton, 1 – Final – Milford picked up its first win of the season behind goals from Juliana France (assisted by Maddy Boyle) and Hannah Martin (assisted by Kristina Chiarelli). 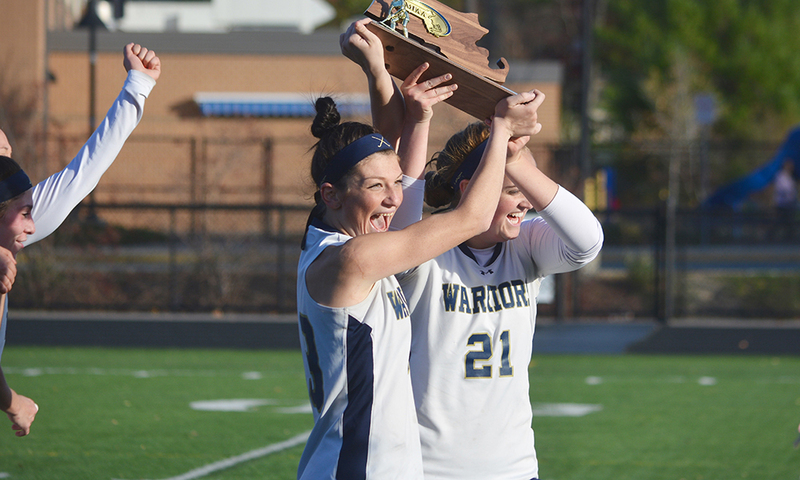 Samantha Tichelaar scored the lone goal for the Tigers and Grace Pimenta made 10 saves. 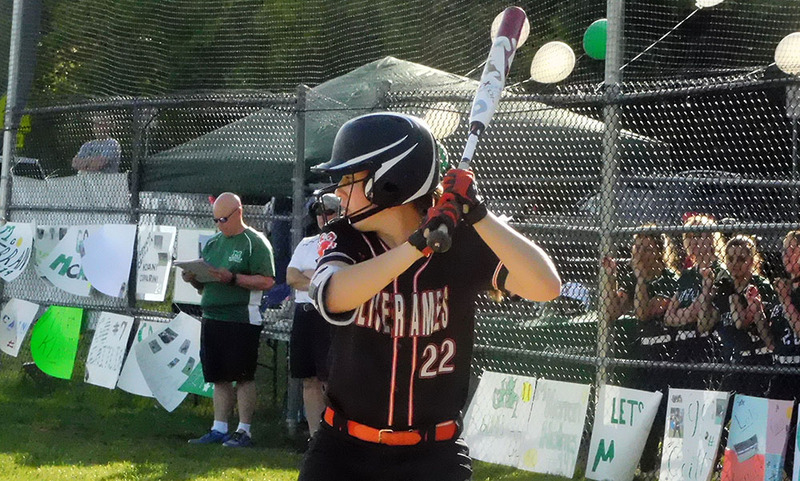 North Attleboro, 4 @ Oliver Ames, 0 – Final – Click here for a recap of this game. Franklin, 1 @ Oliver Ames, 2 – Final – Oliver Ames took a 2-1 lead before the halftime break and that was enough, with goalie Tigers’ Caitlin Grant recording eight saves in the win. Meaghan Rockey and Sarah Stevens each found the back of the net, both on assists from Cristina Boudreau. Franklin junior Ashley Reutlinger’s first goal of the season, on an assist from Cassi Ronan, tied the game in the first half before OA retook the lead. OA head coach Abby Tepper said Grant “played amazing in net” and also praised the defensive play of Sarah Tetrault. King Philip, 3 @ Canton, 0 – Final – King Philip earned a sweep on the road, beating Canton 25-18, 25-13, 25-13. Reigning Hockomock League MVP Sydney Phillips led the Warriors’ charge with 18 kills while Michaela Palumbo added nine kills and Grace Ely chipped in with seven kills. Elise Pereira (seven digs) and Julianne Rando (six digs) paced KP’s defense. For Canton, Sophia Connor had a strong all-around game, hitting .429 with 10 digs and 2 aces. Taylor Harris added four aces, two kills and two blocks for the Bulldogs. Franklin, 3 @ Foxboro, 0 – Final – Franklin picked up its second straight sweep, this time on the road at Foxboro. Riley Marino had 11 serve receptions, seven digs and three aces for the Panthers while FHS head coach Kate Horsmann said Lauren Lockhart had another smart hitting match, finishing with eight kills. Maggie Doyle added four kills, two blocks and an ace in the win. Mansfield, 0 @ Stoughton, 3 – Final – Stoughton defended its home court with a big win over Mansfield, recording a 25-3, 25-9, 28-26 sweep of the Hornets. Junior Molly Turner had a great all around game for the Knights with 13 assists, four blocks and 25 service points. Senior Val Whalen led the Stoughton offense with 15 kills. “We started strong and kept up a great defensive game to hold off the Hornets in the third set,” said SHS head coach Erica Batchelder. Taunton, 3 @ Milford, 0 – Final – Taunton notched its first win of the season, holding off the Hawks in the third set to earn a 25-18, 25-19, 28-26 sweep. Sam Reaume led Taunton with 10 digs, seven kills, two blocks and an ace while Kayli Fagan finished with 20 assists, three kills, two assists and a block. THS head coach Toby Chaperon said Rawan Hamie and Sam Martin provided a spark up front and at the service line, and praised the defensive play of McKenzie Lucie, Jaime Brown and Elaine Bodemer. Oliver Ames, 0 @ North Attleboro, 3 – Final – North Attleboro earned its third win of the season, and first sweep, fending off Oliver Ames with a 25-15, 25-22, 26-24 win. Amelia Murphy had a strong game for the Rocketeers with nine kills and four aces while Kezie De La Cru added eight kills and two aces. OA sophomore Jordyn Vella had four kills, two blocks and three aces for the Tigers. Canton, 152 @ Stoughton, 185 – Final – Canton’s Joey Vaughan and Danny Powers shared match medalist honors, each carding a low-round of 37 to lead the Bulldogs to their second win in as many days. Jack Goyetch and Chris Lavoie each chipped in with rounds of 39. Stoughton’s Brendan Campbell had a team-low round of 42. King Philip, 161 @ North Attleboro, 156 – Final – Dylan Kane and Marcus Costa each carded rounds under 40 to lad the Rocketeers to a close win over KP. Kane shot a 36 while Costa carded a round of 38 in the win.